Look for us on iTunes, ShoutEngine or the Internet Archive, where you can also directly download an art-tagged MP3. After nearly a year since the last episode… we’re still doing random one-off spotlights rather than actually talking about the Bloodlines event. 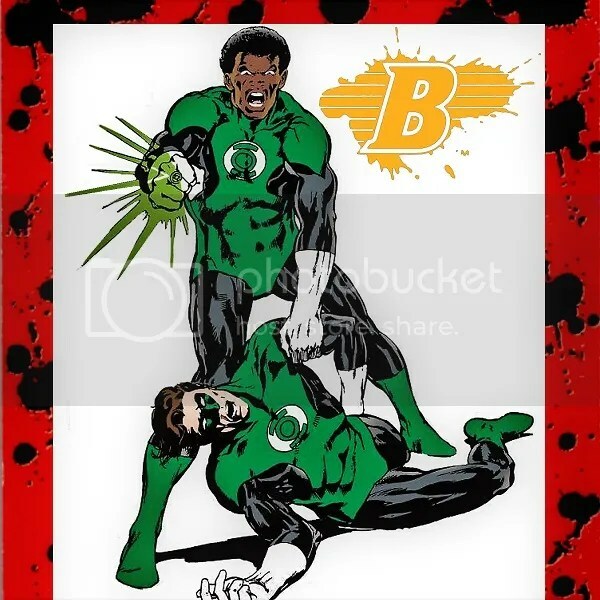 Richard Drakunovski was a bullied white boy who trained to become a world class martial artist under the Asian O-Sensei and/or an African-American man named Benjamin Stanley and/or Ben Turner, depending on what continuity we’re talking about. This is all before we try to address Lady Shiva and her damsel-in-distress sister you probably never heard of. Set the Wayback Machine back to 1975 for our old coverage of Richard Dragon, Kung Fu Fighter #1, #2 & #3 and do a deeper dive on that last one by following along at Scans Daily. We’ll also cover #4, and then 2004’s Richard Dragon #1-6. 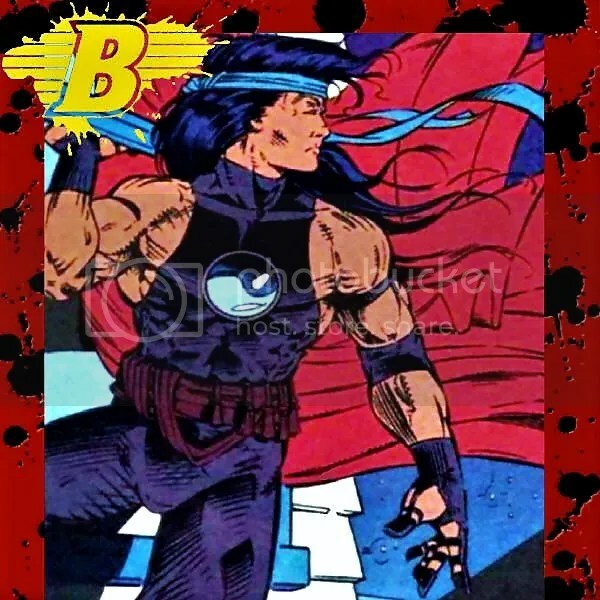 The DC Bloodlines Podcast: Eclipso– Hero and Villain in One Man! 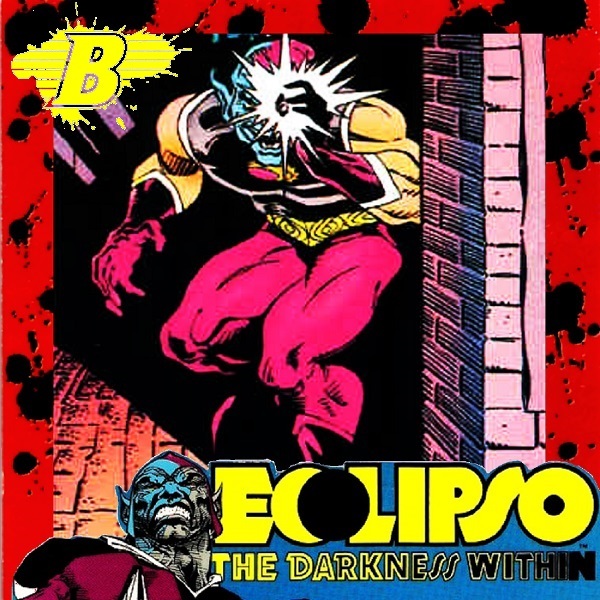 The show returns as part of a multi-blog/podcast crossover covering the 1992 DC Annual event Eclipso: The Darkness Within by offering a detailed account of the first three decades of the villain’s career derived from numerous print and online sources. Created by Bob Haney and Lee Elias in 1963, Eclipso appeared in House of Secrets for 19 issues before moving on to guest roles in Justice League of America, Metal Men, Green Lantern, Adventure Comics, Outsiders, The Phantom Stranger and more! See the misadventures of Bruce Gordon, Mona & Simon Bennett as they combat the super-villain! Eclipso– Hero and Villain in One Man! Bloodlines: Outbreak is nearly over! Before the first quarter of the event closes, we meet ex-S.W.A.T. officer Kelvin Mao in his insectoid exoskeleton, and a new blond Batman who is never positively identified throughout the story (with the reasons for his replacement only alluded to.) Guess that means we should also look at the Batman: Sword of Azrael mini-series and do an overview of Knightfall/Knightquest/KnightsEnd to better understand what Jean-Paul Valley is doing here. I once did a wine tasting tour in the Jean-Paul Valley. That’s a joke I now regret because it conjures imagery I hadn’t considered before making it. Where was I again? These were not engaging stories, so I keep getting distracted, but you can follow along with 1993’s Batman Annual #17 at Scans Daily and get a deeper dive on the Azrael mini-series at NOT BLOG X. 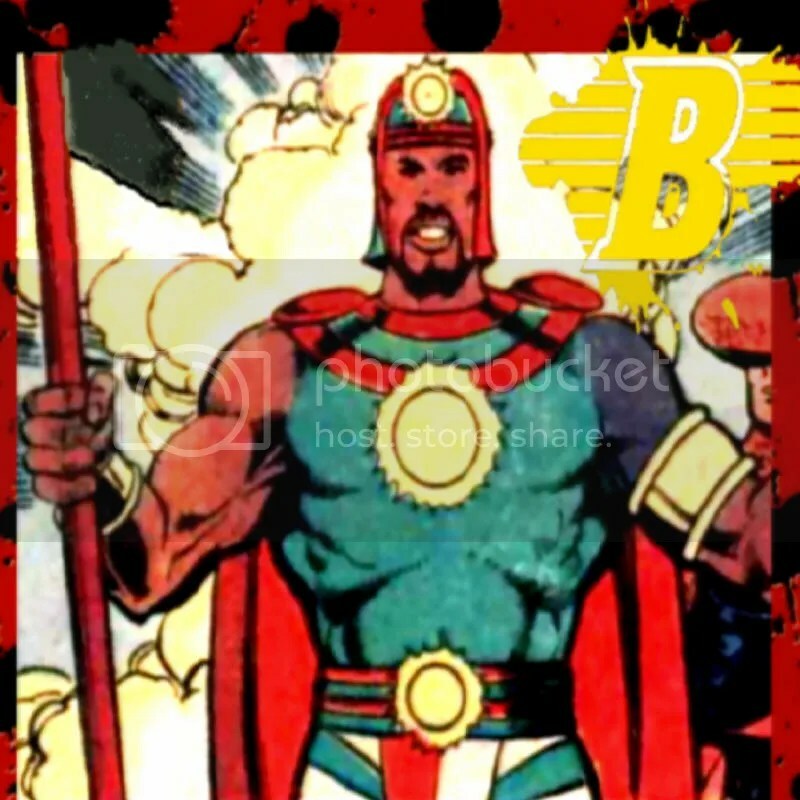 The ancient immortal African mystic Doctor Mist was introduced in a cameo on the last page of 1978’s The Super Friends #12 before continuing into appearances in The Super Friends #13 & 45-46 before officially forming the Global Guardians in DC Comics Presents #46. We cover these comics to varying degrees, but our primary focus is the supposed true story of “Nommo,” appended to tales starring Zatara and Zatanna. Is Dr. Mist one of the most powerful and important figures in the history of the DC Universe, or a sad and lonely fraud? You decide, and you can follow along with our reading of 1988’s Secret Origins #27 at The Secret Origins Podcast. 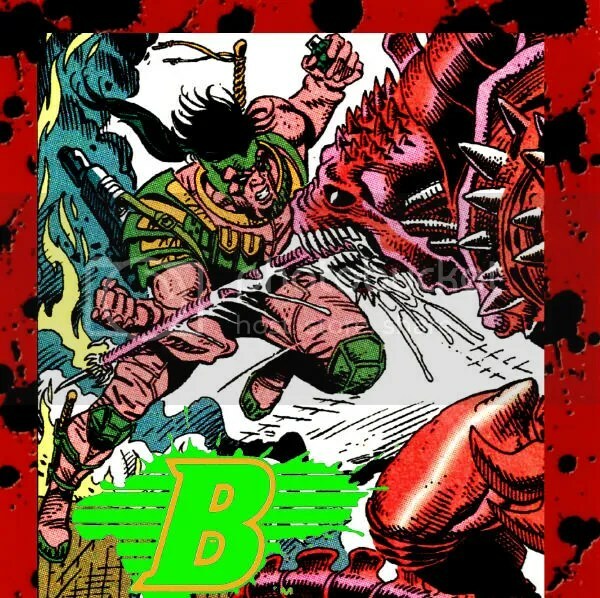 After slipping to an unintentional monthly schedule with some uncomfortable elements and unfortunate timing, the DC Bloodlines Podcast returns for a thirteenth episode set on breaking its unlucky streak (and nearly broke Diabolu Frank with all the editing it required.) In this novel edition, special guest Pekita Trotamundos helps produce a two-person radio drama in the style of ABC-TV’s 1979 Saturday morning favorite, The World’s Greatest Super Friends. 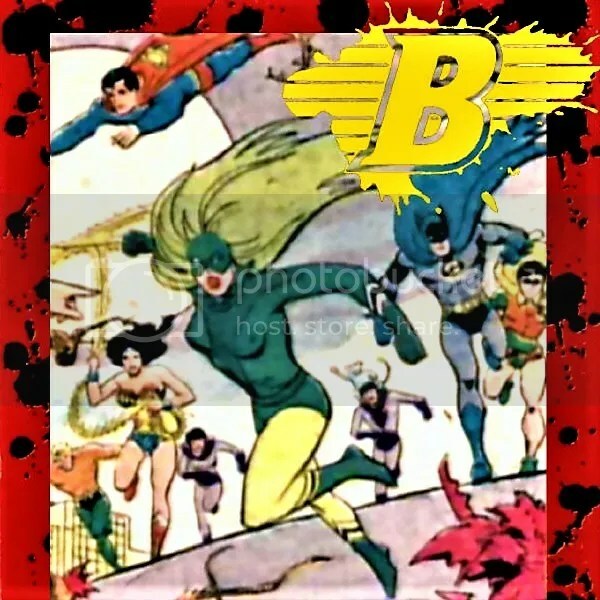 This is meant to reflect the early appearances of Brazil’s premier super-heroine in the DC Universe, Beatriz da Costa, originally known as The Green Fury! Later known as Fire, she was created by E. Nelson Bridwell and Ramona Fradon for the comic book tie-in Super Friends #25, cover-dated October, 1979. After that brief cameo battling Superman, The Green Fury went on to appear in issues #42-44, with her origin finally revealed in a full length starring role in the series’ final issue, the August 1981 cover-dated #47. Foregoing the usually biting commentary and contemporary music soundtrack, this episode is a loose adaptation of these stories featuring scores culled from numerous cartoon favorites of the era. However, there is a political subtext that’s hard to miss. For a peek at the early Beatriz da Costa in action, here’s a look at sample pages from The Super Friends #43 at Scans_Daily.